Whether you love or loathe your car, your treatment of it can have a huge impact on your wallet. The more abuse and neglect it takes, the higher your repair bills are going to be, even if you just drove it off the lot this year. 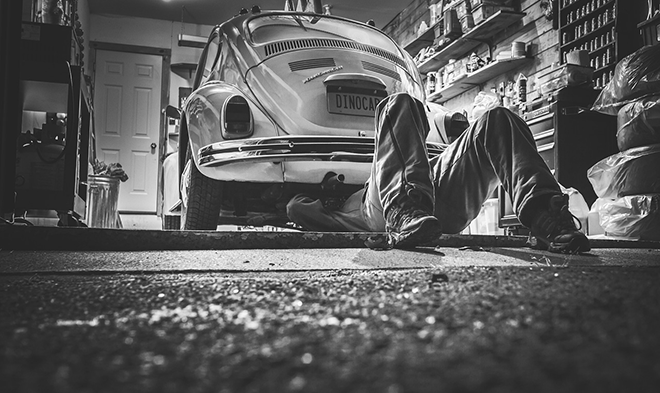 Cars have lots of working parts to worry about, and just a few good habits are going to keep most of those parts in decent working condition. Enough to keep you out of that repair shop, anyway. Most current cars are programmed to tell you when it needs an oil change, but even if your car doesn’t, you probably have one of those stickers on the inside of your windshield. You know the ones because you’re probably ignoring the fact that you’re past due for an oil change. “Just a few more kilometers…” you probably tell yourself, but you shouldn’t. Changing your oil on a regular basis is kinda like an apple a day. It’s going to keep Joe, your mechanic away. Buy yourself a cheap tire gauge at the dollar store and check them every so often. Fill your tires as soon as they need air and get them rotated on a regular basis. This is going to save your brakes, which can be very expensive to repair. We don’t always get the info when a recall is announced for a component of our car, so staying on top of them yourself can save you a bundle. Avoid your engine overheating and causing damage by keeping your coolant fresh and topped up. Idling for too long when you don’t have to can age your car faster than if you didn’t. A car that ages too quickly is going to need far more repairs than one that doesn’t. Avoid idling, save some cash. Don’t let it wear down. If you drive your car until the timing belt breaks, you could face damage to other components in the engine when the belt snaps. Replace it around every 100,000 km to be safe. Get these done with your oil changes and you’re going to be able to catch any issues before they become too serious. If you find yourself lurching forward every time you break, you’re braking too late. Learn to ease into a brake and you’ll save your suspension, brake pads, ball joints, bearings, and more. Keep the air pumping through your engine clean and you’ll avoid those high repair bills for clogs, dings, lowered performance, and more. What are some other ways to care for your car that will prevent the need for repair bills? Let us know in the comments and drive safe!